Item # 319297 Stash Points: 5,195 (?) This is the number of points you get in The Zumiez Stash for purchasing this item. Stash points are redeemable for exclusive rewards only available to Zumiez Stash members. To redeem your points check out the rewards catalog on thestash.zumiez.com. 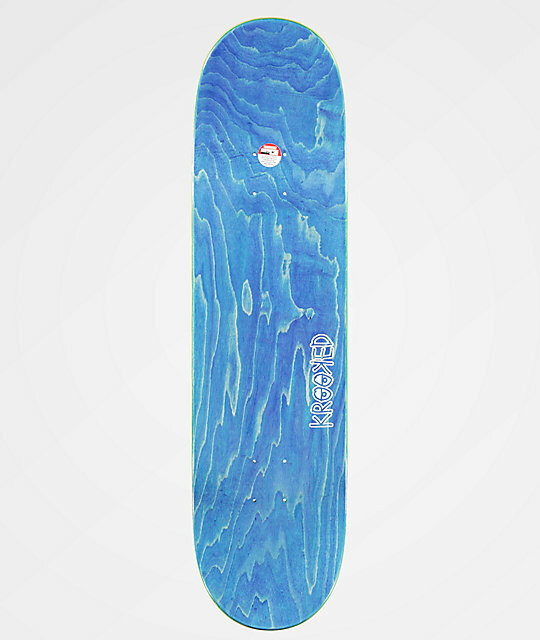 Storm your way through park and street features with serious steaz on the Krooked Team Storm 8.25" Skateboard Deck. Mid-level concave depth offers additional flip strength on flip tricks and improved traction under foot. Finished with moderate pitched and tapered kick tails for big pop and a lightweight feel, this deck is ready to ride whatever you lay eyes on. 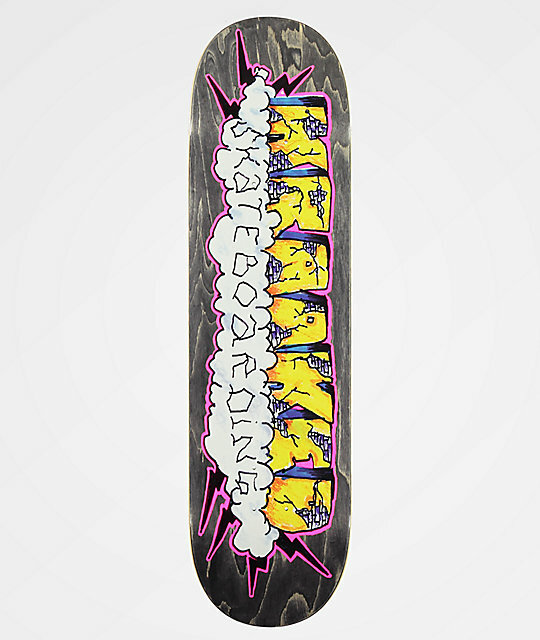 Team Storm 8.25" Skateboard Deck from Krooked.